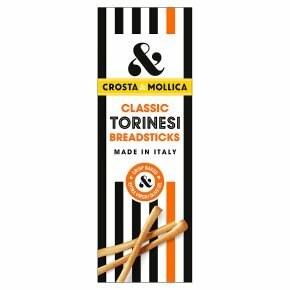 Extra fine grissini with extra virgin olive oil.These thin and delicate breadsticks are a traditional type of grissini from Turin. 'Eat it the Italian way' A classic Italian appetiser. Serve with drinks or as part of an Italian antipasto board.